Some students think they are not good enough, they feel movements are never quite right and they lack confidence. I can understand this. When I began to study I was never sure whether I was doing the movements correctly, but a good teacher will help you and never laugh or look down on you. This is the right attitude for teacher we should never see our students differently but see them in the same way. However each student is different, some pick up things quickly and some pick up things more slowly. Kong Zi 孔子(Confucius) said, “Some people are born with the talent to know, some people need to learn to know and some people will work hard to know. All of them can have the same success there is no difference 或生而知之，或學而知之，或困而知之，及其知之，一也。」.” So does not matter whether we find it hard or easy to learn as long as we are consistent in learning and practice, then we can all reach a high level. It is like the story of the Hare and the Tortoise. 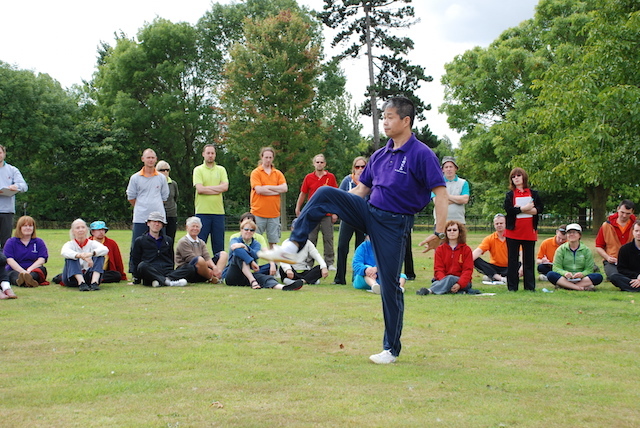 Everyone who works hard will achieve a good standard in their Qigong. In fact often people who find it difficult to pick up movements in the beginning work hard and after a while they become very good at picking up movements.